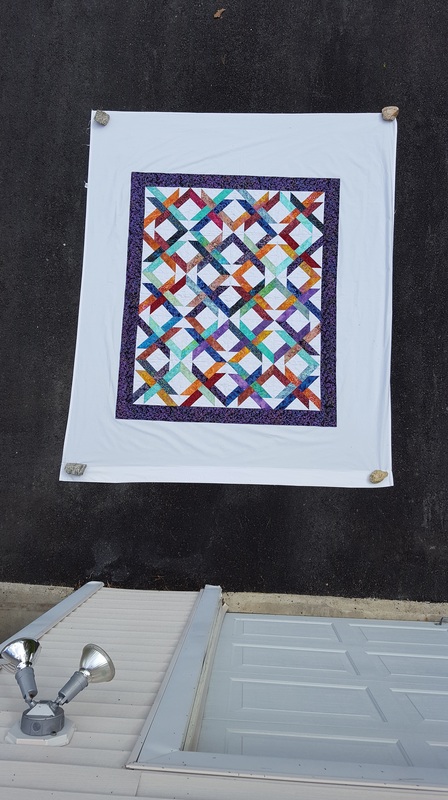 Spring Quilt Market is next week and preparations had me running all yesterday. Thus the day late! 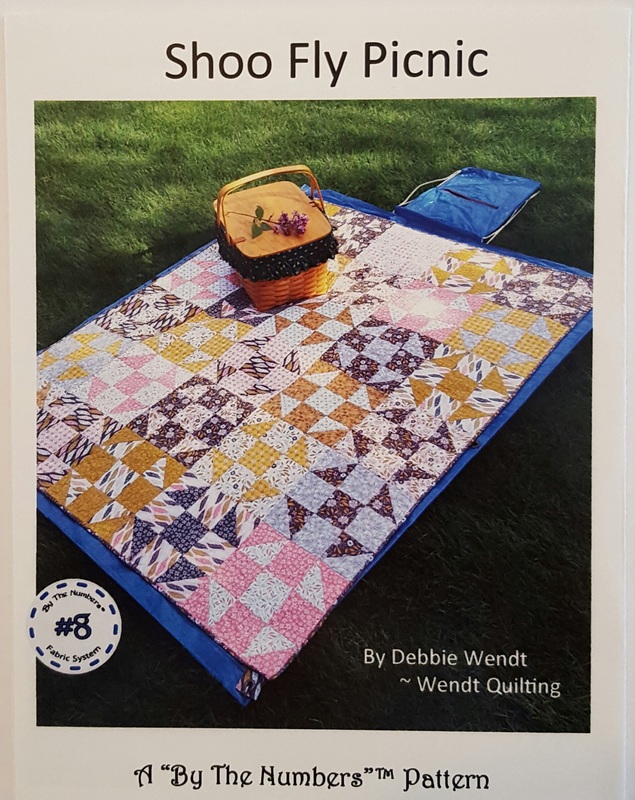 Gina Zeleznok of Sturbridge Quilting and Sewing and I will have the “By The Numbers” booth#3209 and I’ll have my Wendt Quilting booth#3207. Gina will also have her Grab ‘n Go Kits booth #3211. She has some georgeous new designs! I’ve decided to offer my “Wonderful Little World” pattern and foundations to shops. I love the simplicity of the houses and trees! I’ll put the photo below. The houses finish to 3″… Cuteness!! Market prep includes a redo of my catalog. I have to say, it is very rewarding seeing all my designs listed and pictured. It reinforces my love of design!! So, what about you? 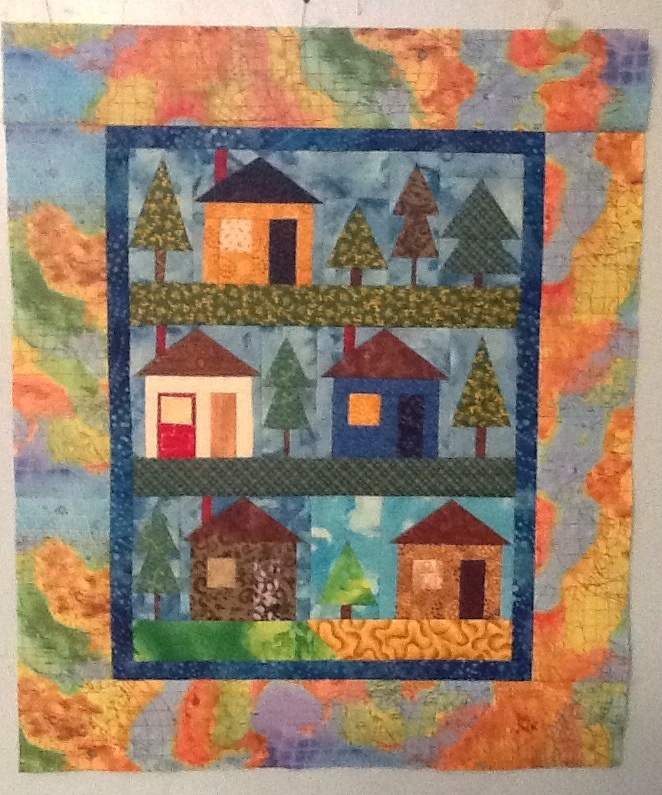 Do you have photos off all the quilts you have made? You should!!! I know I’ve missed some of mine along the way. I’ve said for years I need an album. I even have one a friend made for me. Time to get it filled up with photos! #1- Take photos of your work! How do you take photos? Holding them up with so the quilt has feet? Draped over furniture? On a bed? One way is to get the entire quilt. I don’t have floor space in my house to lay out a full quilt. Time to improvise. So, my driveway is big enough! I put a sheet down, anchored with rocks and hung out a window above to get the “big” picture. The problem with getting a good shot is trying not to skew the image. Difficult!! If possible…Get directly above the center, hold your camera flat (don’t tilt) and take the photo. You can do the same upright using a quilt stand. Close ups are also nice to show your quilting and beautiful piecing. 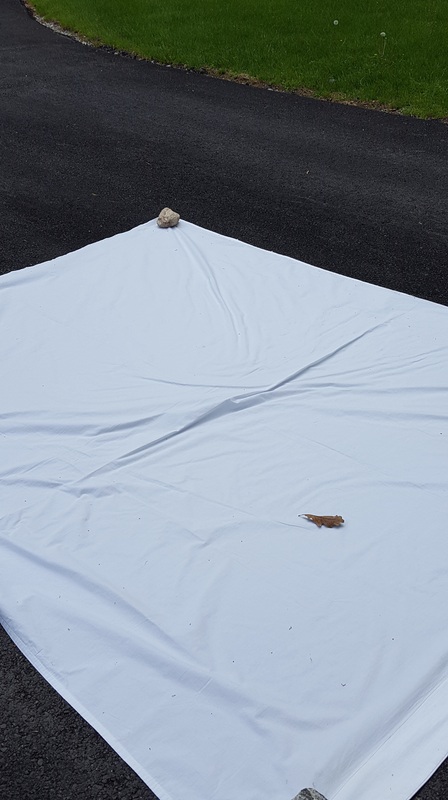 #2- Use a sheet on the ground to protect your quilt when taking photos. Did you know my “Shoo Fly Picnic” quilt has a drop cloth backpack pattern included?! Great for taking the quilt (or any quilt) to an outdoor event and protecting it from the ground. The winner of the Block Stock prize package is Evelyn W. of PA. I’ll be emailing you!!! Two Tip Tuesday – Tasket Basket Quilt, oops! Try starching your fabric before you cut your binding - it really makes a difference.